We offer expert services to Thousand Oaks residents. Thousand Oaks, California is such a livable place and this is why it attracts new residents. If you’re planning a move to the area, you should know that our professional moving services will make the process of getting settled in Thousand Oaks so much easier! We are established and reputable company and we offer the highest standards of service for affordable rates. If you want prompt, reliable service from a PUC-licensed company, we encourage you to contact us for a fast and easy quote. As well, they have can-do attitudes and they are polite and well-groomed, so you’ll find that connecting with our experts is a pleasant experience. These technicians know exactly how to pack, unpack, assemble and disassemble items for customers. They also know how to get them from one destination to another safely. We offer three tiers of insurance for customers, so you’ll be able to select the level of coverage that works for you. Don’t settle for a lower standard of service. Call or email One of Best professional moving companies in Thousand Oaks today! Safety, Mediterranean climate and very good and stable income of the citizens ($119,000 annually for one family) always make this city an attractive place. Californian Thousand Oaks comes to the top ten cities in the USA, which are called “the safest”. Celebrities come to stay there forever, choosing Thousand Oaks to be their home. Good and stable situation on the jobs market and a large number of good high schools in the city area are also good reasons to build life in Thousand Oaks. Our guys provide Thousand Oaks professional moving service, working in the area, and meet daily different clients. They know how to deal with people owning luxurious houses and renting small apartments. Professional crews are ready to work the whole day, if client moves from a large house and have a huge amount of cargo. However, the most popular choice is hiring a crew of 2 men and one truck. It means, the majority of people, who are going to relocate to a new place, live in medium-size or small apartments or a one-two bedroom houses. Certainly, sometimes it happen a person, who lives with his family in a small home, has so much stuff, that even one truck can’t fit into it all his belongings. In these cases, we recommend to choose four guys and two trucks of the company. Ordering our services and a truck, our client is guaranteed: when crew come to his home, he should not worry even if the things are not packed. They do packing of things and loading the truck very fast. Although our guys are paid hourly, their reputation means much for each one. Professionalism does not let them delay loading the truck. When you sign a contract with our Moving company in Thousand Oaks and insure your cargo, you become our client. Since that time, the company works for you. Our crew will be responsible for your belongings and your cargo from the moment the packing of the things is started until the time, when guys unload the truck and finish arranging the furniture and the other home things in your new home. 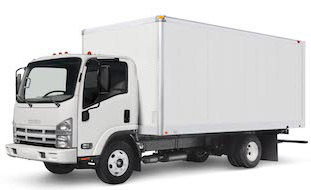 Each one of our Thousand Oaks movers is a man, who feels his personal responsibility for your cargo. Taking care about each small unit, we work carefully, but very fast. You can also help us if you pack some things in advance. The home stuff packing will reduce the time of work and save some of your money. However, in case your things are rather valuable (and especially if you claimed them), it will be better to entrust this process to Thousand Oaks movers. They will wrap carefully all furniture not to damage the upholstery, pack your wardrobes and closets into the special boxes, provided by our company, fix the packages with cargo inside the truck for the better safety. Our guys will always support you morally: any move is always a stress, and we are ready to get you rid of this stressful situation, adding some positive into the day.